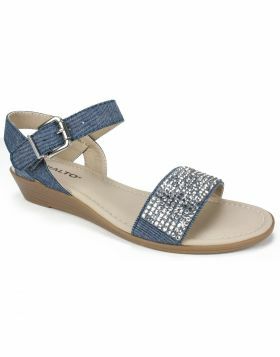 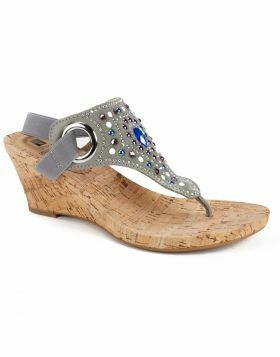 Let the sun shine bright in the Cafell t-strap wedge heel sandal from Rialto shoes. 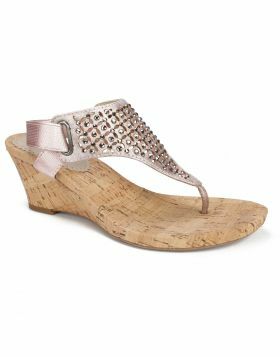 Featuring a delicate floral cutout detail with shiny embellishments and cork wrapped heel this playful style is ultra stylish. 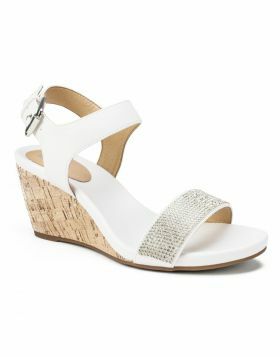 Heel height: 2 1/4 inches.